Facebook Page owners now have more control over you communicate with your audiences. The social network began testing post targeting last month, but only a small subset of Pages had access. 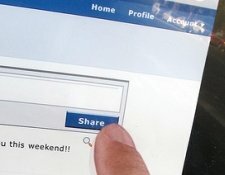 Now it appears that Facebook is rolling out the feature to Pages with more than 5,000 fans this week. 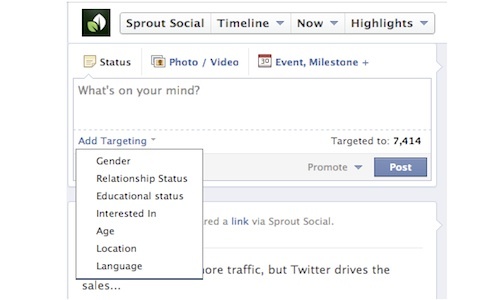 Currently you can target posts based on location and language, but advanced post targeting options enable you to choose from age, gender, relationship status, and education. This feature will only affect News Feeds; all posts will still be displayed on your Timeline. Post targeting helps you share the most relevant content with your audiences, which could help to decrease the number of fans who unsubscribe or unlike your Page. Additionally, as Inside Facebook noted, this could also lead to a spike in engagement This metric by allowing you to create multiple posts per day without overwhelming your fans.